Waterproofing membranes made of high-quality bitumen modified with APP (atactic polypropylene) and enhanced with IKO specific optimizing compounds. These membranes are reinforced with an inlay of polyester, fiberglass or inlay combination. 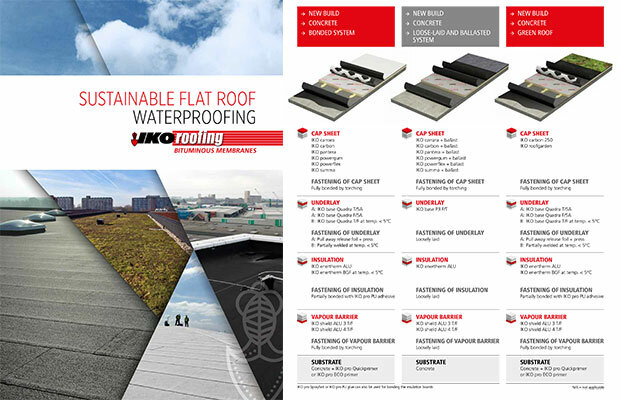 IKO’s APP membranes are recognized for their extremely high resistance to aging and excellent adhesion. The specially designed reinforcements and combinations of them provide strength to the membranes, assure high dimensional stability and greatly reduce shrinkage.